(with Dr. Laura Tyson as main advisor). Awarded the Academic Prize by the National Academy of Sciences of Korea. 2015. The Award for the Research on the Korean economy (Korean Economic Association: 2017, 2. Accepted as a life-time fellow of the Korea Academy of Science and Technology, Dec. 2011. Recognized as one of the 100 Talents to shine Korea in 2020. Dong-A newspaper, April 2010. The Chung Foundation Award: A Prize for best book of year, awarded by Maeil Business Newspaper, July 2009. Received the First SNU Research Award by the Seoul National University, 2008. Associate Editor: Industrial and Corporate Change ( the leading journal in Schumpeterian economics). Referee work for: Industrial & Corporate Change, Journal of Economic Behavior and Organization, , World Development, Research Policy, Journal of Evolutionary Economics, Business History, Journal of the Japanese and International Economy, Journal of Globalization and Development, Technology Analysis and Strategic Management, Journal of Asia-Pacific Economy, Asian Economic Journal, Pacific-Basin Finance Journal, Asia Pacific Journal of Management, Journal of Comparative Economics, China Economic Review, Review of Development Economics, Journal of Contemporary Asia. Keun Lee, The Art of Economic Catch-up: barriers, detours and leapfrogging. Cambridge Univ, Press, March 2019 (forthcoming; also to be in Chinese by the Peiking Univ. Press). Keun Lee, Economic Catch-up and Technological Leapfrogging: A Path to Development in Korea, 2016, Edward Elgar. Keun Lee, New East Asian Economic Development: Interacting Capitalism and Socialism. New York: M. E. Sharpe, November, 1993. “Varieties of capitalism and East Asia: Long-term evolution, structural change, and the end of East Asian capitalism (with H. Shin),” Structural Changes and Economic Dynamics (IF=1.54), https://doi.org/10.1016/j.strueco. 2018.06.006 . "From Global Value Chains (GVC) to Innovation Systems for Local Value Chains and Knowledge Creation (with Szapiro & Mao)." European Journal of Development Research (IF=1.1), https://doi.org/10.1057/s41287-017-0111-6, 2017. "When an Importer's Protection of IPR Interacts with an Exporter's level of Technology: Comparing the Impacts on the Exports of the North and South,"( with Shin, W. Park) World Economy, 2015. “Sectoral Systems of Innovations and Productivity Catch-up by the Korean firms with the Japanese firms (with M. Jung),” Industrial and Corporate Change, July 2010. “Both institutions and Policies matter but differently at different income groups of countries: determinants of long run economic growth revisited (with BY Kim),” World Development, March 2009, vol. 37, no 3: pp. 533-549. “Explaining the “University-run Enterprises” in China: A New Theoretical Framework for University-Industry Relationship in developing countries and its Application to China, “(with J. Eun and G. Wu), Research Policy, vol. 35 no. 9: 1329-46, 2006. “Linking Technological Regimes and Technological Catch-up: Analysis of Korea and Taiwan using the US patent data,” (with K. Park), Industrial and Corporate Change 15 (4): 715-53, 2006 (July). "Knowledge diffusion, market segmentation and technological catch-up: The case of the telecommunication industry in China" (with Qing Mu), Research Policy, 34 (6): 759-83, Aug. 2005. "Health Innovation Networks to Help Developing Countries Address Neglected Diseases" (with Carlos M. Morel and others), Science Vol. 309, July 2005. A major international research project on the past and future trajectory of Korean capitalism, with a big grant from the Academy of Korean Studies (www.aks.ac.kr) for the period of 2018-2022 in the amount of 260,000 US dollars per year ( a total of 1.3 million US dollar). The theme of the research is “Following via a Detour to Converge or Forging a New Path to Diverge? A Comparative Study of Korea’s Development Trajectory, and it involving 6 scholars in and out of Korea. Keun Lee has been involved in this council as an active member since 2016 (Nov. Dubai meeting) and his term is just renewed in 2018. He worked with leading experts over the world in joint projects and dialogues about the future of the world facing the 4th Industrial revolution and country’s readiness for the Revolution. He has written a blog article (at the Forum site) about the possibility of leapfrogging in emerging economies, and conducted a study on how the ASEAN countries have been and are advised to respond to the challenge of the 4th industrial revolution. His academic article is now at the final stage of publication in the Journal of Economic Policy Reform. Catch-up Project: Professor Richard Nelson at Columbia University has with a group of scholars carried out research on catch-up. It is supported by Jeffrey Sachs, the head of Earth Institute at Columbia University. 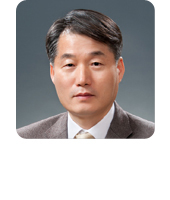 Prof. Keun Lee has been a key participant of the group since the 1st conference held in May 2005. Prof. Lee has been involved in all the four theme groups, such as sectoral innovation system and catch-up, IPR and catch-up, growth of endogenous firms and catch-up, as well as university-industry network and catch-up. He gave presentation of “Explaining Divergent Stories of Catch-up in Telecom Sectors in China, India, Brazil and Korea in the workshops on "Sectoral Innovation Systems and Catch-up." This is now published as a chapter in an edited volume (Edward Elgar 2012), Malerba and R. Nelson (eds. ), pp.21-71, Economic Development as a Learning Process. These series of conferences, related to innovation system and catch-up, were held in November 2006 and May 2007 at Bocconi University in Milano, Italy. Prof. Lee also presented the paper on “Roles of the IPRs in Technological Catch-up in Korea," at workshop held in Tokyo GRIPS in March 2007, as a part of the second catch up group: IPRs (intellectual Property rights) and catch-up. This group’s outcome is published as a book: H. Odagiri, et al. Intellectual Property Rights, Development, and Catch Up, Oxford U.Press, 2010. As for the third topic, another series of conferences, known as "Firm Capabilities and Catch-up of Developing Countries," has been held. In the conference in University of Manchester, England, he presented a brief summary of his article on firm capabilities of Korea and Taiwan. At the second workshop on the same topic, held in Columbia University, U.S.A, he presented the first draft of “Continuous Upgrading and Successive Entries for Sustained Catch-up: Firms from Korea and Taiwan,” a work jointly prepared with Prof. John Mathews. A revised version of the same article is published as chapter of the book: John Cantwell and Ed Amann (eds. ), The Innovative firms in the Emerging Market Economies. Oxford: Oxford University Press, 2012. Regarding the fourth topic, the university-industry network and catch-up, there are three teams--the Latin American, the Asian and the African--to carry out research on. Prof. Lee was in charge of the Asian team, consisting of Korea, India, Malaysia, China, and Thailand. The study is supported by IDRC, an international development organization in Canada. The first workshop of this subgroup, "Role of Universities in Development," was held in Saigon, Vietnam in January 2007 where Prof. Lee gave presentation. Prof. Lee reported the main findings on university-industry network and catch-up in Asia, in Mexico City in September 2008, right before the Globelics conference. The outcome of this research is finally published as a book, Developing National Systems of Innovation: University-Industry Interactions in the Global South (Elgar 2014). Globelics and International Schumpeter Society (ISS). Globelics (Global Network of Economics of Learning, Innovation, and Competence Building) is an international research organization focusing on the economic development and innovation, and publishes a journal, Innovation and Development. It was established as a worldwide network of scholars in which Lundvall, the distinguished economist from Denmark, played a key role. More than 500 scholars from all over the world have participated in each of its annual conference. Prof. Keun Lee is now a member of the Scientific Board, and has been an active participant of Globelics' annual conference; in Beijing in 2004, in South Africa in 2005, in India in 2006, in Russia in 2007, in Mexico in 2008, in Senegal (2009), in Malaysia (2010), in Argentina (2011), in China (2012), in Turkey (2013), in Cuba (2015), in Indonesia (2016), and in Greece (2017)..
Prof. Keun Lee is a key player in Asialics, a network of Asian scholars, practitioners and policy-makers, studying learning, innovation, and competence building in Asia. Ever since his first Asialics presentation in 2005, he has been pointing out important aspects of the growth pattern in Asian economy. He presented papers in the Asialics conference in Malaysia in 2007, in Bangalore, India in 2008, Hong Kong in 2009, in Taipei in 2010; in Tokyo (2013); in Bangkok (2016), and in Hangzhou (2018). Prof. Lee is also an active participant of Cicalics, an organization, mainly of Chinese scholars, focusing on the issues of development and innovation in China. The organization launches an annual conference of established scholars as well as a well-defined Ph.D training program each year. He is also involved in Indialics (India chapter of Globelics) and Africalics (African chapter) and taught in Africalics Academy held in Kenya, 2013 and in Tunis (2017). Keun Lee is also active member of the International Schumpeter Society (ISS), and recently served as the President of the ISS for the period of 2016-18), hosting its biannual conference in Seoul, July 2018. It was first time held in Asia in the last two decades, since the one in Japan in 1992. He is also the winner of the Schumpeter Prize awarded by this society to outstanding books recently published. His book on Schumpeterian Analysis of Economic Catch-up by the Cambridge Univ Press was awarded the Prize. The previous winners include William Lazonik, Richard Nelson, Brian Arthur, Geoffrey Hodgson, etc. Keun Lee was the first winner as a professor affiliated to a university in the non-Western world. GDN (Global Development Network) is an independent international organization established by World Bank to support research on economic development of developing countries. Each year the organization arranges international research on various subject. In 2003, the organization made an open call for projects/papers "Understanding (Economic) Reform." As Prof. Lee's proposal on "Understanding (Post-crisis) Reforms in Korea" accepted by GDN, and he was appointed as the principal investigator of the Korean team, made up of 4 economists. He has participated in the annual World Bank-GDN Annual Convention since then; the Cairo Convention in 2004 held in Egypt, the New Delhi Convention held in India, and the Petersburg Convention 2006 held in Russia. The research outcome of the Korean team has been published as working papers of the World Bank while Prof. Lee was working as one-year consultant there. He was also asked to write a synthesis paper of the economic reform in 6 Asian countries--Korea as well as Indonesia, India, China, Nepal, and Bangladesh--summarized under the title, "Understanding reforms in Asia." The article was published in GDN's “Understanding Market Reform, vol. 2.". Keun has also presented his paper on "Big businesses and national economic growth, at the Bank's ABCDE conference, held in Stockholm, May 2011. He gave a talk in other World Bank organized conference, such as the one on innovation held in Rio, fall 2011, and industrial policy, in DC (may 2012). Recently, Lee contributed a chapter on the Role of science and technology in African Development in a World Bank-book on Africa and Economics, edited by Justin Lin (Oxford 2015), and a chapter on Industrial policy and Capability Failure in a volume edited by Justin Lin and Stiglitz on Industrial Policy Revolution (2014: Palgrav). Keun Lee has worked with the WIPO on a number of project. The first has resulted in the WIPO publication on "Role of industrial property rights in the economic develoment of the Republic of Korea," in 2003 (uploaded in the book publication menu in this site). He has also worked as the coordinator for the WIPO project on the Economics of IP in Korea, which resulted in another publication by the WIPO in 2013 with the same title. He also participated as a resource expert on other WIPO organized meeting, such as the regional meeting in Bangkok in November 2011. He also wrote a background paper for the WIPO's first annual report, prepared by the chief economist, Fink Carsen. There are several universities under the names of the UN Universities all over the world. Of these, UNU-WIDER--World Institute for Development Economics Research--at the UN University in Helsinki, Finland specializes in studying dynamics of economic development. Prof. Keun Lee has taken an active part in the conferences and projects commissioned by the institute. In the WIDER Jubilee Conference on Development Economics in June 2005, he presented “What makes firms grow in developing countries.” He presented “Assessing China's Economic Catchup" in the conference on “Southern Engines of Growth" in 2007. In May 2008, he presented "Can Korea be a Role Model for Development" in the conference held in Helsinki. The 2008 presentation is a part of the WIDER's international research project, "Country Role Models in Development," for which he was chosen as the Korean representative. The collected papers from this project was published as a book edited by Augustin K. Fosu (editor), Achieving Development Success: Strategies and Lessons from the Developing World, Oxford: Oxford Univ. Press, 2013. He has been actively involved with the UNU-MERIT based in Maachstricht, including presentation of his paper on “Change in industry leadership and catch-up cycle,” and his book (Lee 2013). Currently, he is involved in the major UNU Project on New Perspectives on Structural Change, which will produce a 2 volume of monograph over the next year. He will write a chapter on Innovation and Economic Catch-up in Latecomer Economies. Since 2013 Lee became a member of the CDP under the DESA, UN. His role there is advice on the role of S&T in sustainable development. In a recent CDP initiated volume on Global Governance and Rules for the Post-2015 Era: Addressing Emerging Issues in the Global Environment (UN Series on Development), Bloomsbury, 2015/08, edited by Jose Alonso, and José Ocampo, Lee wrote two chapters, one on STI policies, and the other on the new rules for industrial policy with the title of 'How Large or Small is the Policy Space? WTO Regime and Industrial Policy.' This book is a collection of chapters written by the members of the committee for development policy of the UN, focusing on the new rules for the post-2015 era.